Elder abuse and elder fraud are major concerns for families who have a loved one under elder care services. Although abuse is typically rare, a dose of precaution can prevent or save a senior from being trapped in a cycle of abuse. Understanding the warning signs of fraud and abuse is vital to effectively intervene. 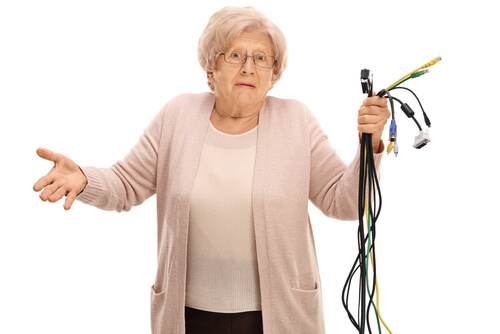 Here are five signs to look out for that may indicate that it is time to change caregivers. If your loved one is being emotionally abused, you might notice some changes in their behavior. Sudden changes in mood, sleep patterns, or non-verbal cues might be an indication of abuse. While you will not see physical marks, emotional abuse is just as harmful as physical abuse. 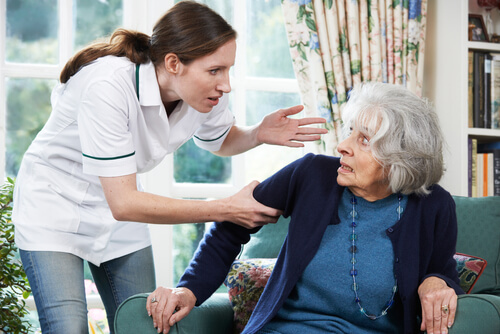 Bad caregivers who use hurtful language, yell, manipulate, or ignore a patient are abusers. Patients may display agitation, withdrawal, abnormal quietness, or fearfulness. Excessive stress caused by abuse may even cause sleeplessness and weight loss. One study revealed that 9.5% of seniors experience some form of emotional abuse or neglect. Emotional abuse should not be overlooked. If your loved one exhibits any of the above signs, it may be time to change caregivers. 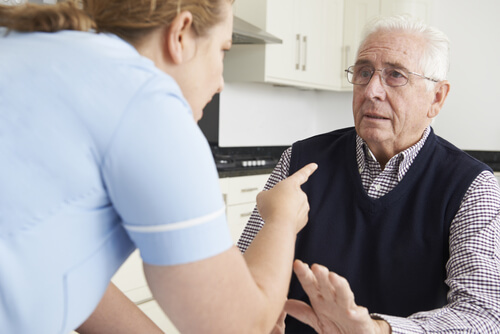 Physical abuse is caused by caregivers who use violence or neglect their patients. Unexplained bruises, cuts, or scrapes are telltale signs of falls or blows, especially if the victim tries to conceal them. Pressure sores, poor hygiene, and a change in appearance indicate neglect. Often times, repeat abusers will inflict wounds on parts of the body that are not visible. While these signs can be an indication of abuse, they are not proof. Careful speculation rather than jumping to conclusions is the best way to go about it. A recent study found out that the percentage of abused seniors who were victims of physical abuse stood at about 15%. The percentage of abuse from neglect was about 58.5%. These staggering statistics indicate how important it is to pay attention. If your loved one exhibits any of the above signs, it may be time to change caregivers. Caregivers should be completely open and honest when answering questions. Occasionally, you might get an “I don’t know”, but if this is a consistent answer, it could be a red flag. Not answering questions, or being defensive or dismissive may indicate a caregiver is guilty of abuse. Even if a caregiver has nothing to hide, their lack of answers could mean that they might not be as qualified as you first thought. If there is something to hide or questionable behavior, make sure you get a definitive answer and a follow-up plan before making accusations. If your loved one exhibits any of the above signs, it may be time to change caregivers. A care agency that has high staff turnover, frequent scheduling and billing errors, poor communication, or an aura of frantic business operations is likely to have problems. A well-managed agency whose leadership is involved will almost always be safes and more effective with handling negative situations. When looking for a quality home care agency, the Medicare website suggests a number of things to look for. Medicare suggests patients and their families find a care agency who takes the time to notice their needs, adapt to patient changes, and takes the time to discuss and explain procedures. If your loved one exhibits any of the above signs, it may be time to change caregivers. It should be obvious, but listen close to what mom and dad have to say. If they are expressing concerns about their care, take heed. If they request a different caregiver, it should definitely be considered. A caregiver who does not get along with mom or dad will make life unpleasant for everyone. 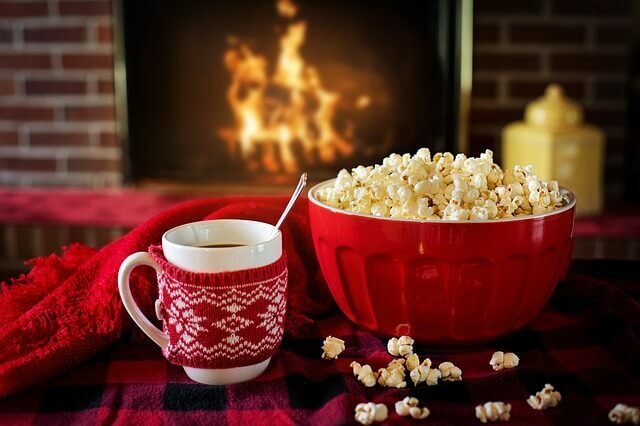 Besides, your loved one should never feel anxious, stressed, or fearful in their own home. Take any complaints seriously, even if your loved ones have cognitive issues. If your loved one exhibits any of the above signs, it may be time to change caregivers. No incident of elder abuse should be taken lightly. Many seniors may be too afraid or ashamed to speak up about their abuser to people who can help them. In this case, it is up to the people who care about them to notice the warning signs and to protect them and stop the abuse. If you suspect that someone you know is being abused, wait for the two of you to be alone to ask them about it. Tell them that you are worried and you think something might be wrong. Ask them if you can take them to get help. There are plenty of agencies on the local, state, and federal level available to help with related issues. Visit the National Institute on Aging website for more information. In case of an urgent emergency, call 911. The important thing to do is to not wait or ignore suspected cases of abuse. 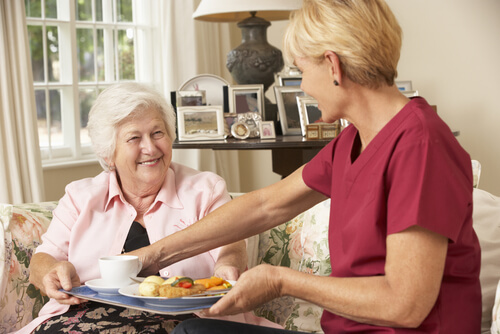 Also be sure to check out our article on how to improve trust in home care. next post: Massive Caregiver Shortage Expected As Demand for Home Care Services Rises.